Hi! 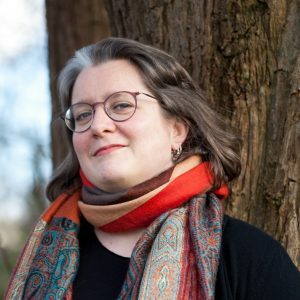 I’m Joy Phillips, a freelance Dutch-English translator, copywriter, author’s editor and content synthesizer with 21 years of experience and a healthy dose of enthusiasm. My main fields are climate & environment, IT, technology & innovation, architecture & infrastructure, and creative design. My main focus is on creative translation and copywriting. I work with key stakeholders and content owners to synthesize content from various sources into a coherent whole. If you have a creative and intriguing topic, I love combining diverse aspects of my expertise and researching specific details to ensure absolute accuracy. If you have a creatively written Dutch text, regardless of the topic, I enjoy unleashing the full scope of my imagination and copywriting experience to make the English translation just as good as the original – or even better. Similarly, I provide excellent copyediting services, polishing creative texts written in English by non-native speakers. I also provide sworn translations in my specialty fields. For the past decade, I have been specializing in climate & environment, IT, energy & transport, healthcare, technology & innovation, and creative design. In addition to my extensive experience in the private sector, I have translated government policy in these fields for a number of years for the Dutch government and for the EU, working through select language service providers. I have also been a preferred language partner for several major multinational companies working in IT and consultancy, providing co-creation and copywriting services on retainer. Moreover, I have spent nearly 20 years working with various clients on editing and translation of patient-facing medical documents and training programmes for informal caregivers, primarily for NGOs and public health services. My career has included various training opportunities and services related to clinical trials. Although such projects are subject to strict NDAs, in very general terms, these activities involved team translation and grammar/spelling revision of physician-facing documents, informed consent forms and regulatory correspondence for clinical trials, as well as marketing and documentation for some startups affiliated with academic medical centers, and academic research papers related to the background of those startups. I am a member of the NGTV and IAPTI, and have been a sworn translator registered with the court of Amsterdam for over 15 years. In addition to the projects I’ve done for the Dutch government and the EU, I have also supported a wide range of companies, organisations, universities and NGOs operating in the Benelux and abroad. Much of my work is subject to NDAs, but my portfolio offers an overview of non-confidential projects. I am also a regular speaker at international conferences. Topics include quality assurance as a freelance translator, work-life balance in the event of illness, leveraging pre-CAT translations, and the process of transitioning from an isolated freelancer to a networked entrepreneur. Conference presentations in 2015 and 2016 included bp15 (Zagreb), the ProZ 2015 international conference (Rotterdam), bp16 (Prague), bp17 (Budapest), and bp18 (Vienna), as well as the 2018 IAPTI conference in Valencia in September. More details are available on the Conferences page on this site. Tess Whitty interviewed me for Marketing for Translators in 2017; the podcast is available online here, if you’d like to hear my thoughts on iterative improvement and creative connections. If you’re interested in collaborating to tailor your text to an international audience, check my current schedule, or send an email to discuss details.